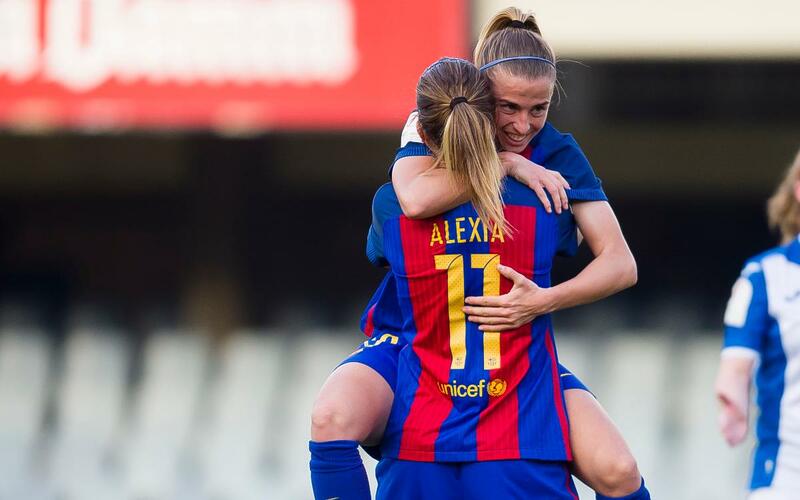 The Barça women are through to the semi-finals of the Copa de la Reina after a tricky encounter on Saturday morning against Real Sociedad was decided by an extra time goal from Bárbara Latorre. The Catalans will now play the winner of the clash between Athletic Bilbao and Valencia. There was a clear pattern to the game, with FCB taking the initiative and the solid defending Basque side preferring to chance things on the counter-attack. Both tactics produced chances, but the first 45 minutes ended without score. Things weren’t working for Barça, and the second half saw them adopt a more direct approach, with Vicky Losada coming closest when she hit the crossbar. But the scoreboard refused to budge and the 90 minutes ended with everything left to be decided in an additional 30 minutes of play. Real were clearly tiring, but although almost all the overtime play was in their half, things looked to heading for penalties with just four minutes to go. And then bang! Up stepped Bárbara Latorre with a cunning piece of play inside the area to thwart two defenders and then tuck the ball beyond the reach of goalkeeper Quiñones. It had been a long, tense wait, but Barça got there in the end.